Class is January 26 from 1-3pm in the Crozet Art Box. It’s FREE/ no tuition!! Click November 27, 2018 letter from John Hancock for news about upcoming 2019 classes! My Newest 2018 Intermediate and Advanced Watercolor Course! This fall, winter, & spring, I am introducing two new courses aimed at helping folks who want to move beyond the basic level of knowledge and experience in watercolor. 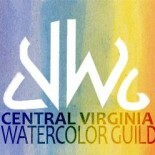 The first of the new special courses is “Intermediate and Advanced Watercolor Projects”. Each time I offer this course, we will concentrate on two major ideas and explore them in depth. For this Fall session, we will first explore the power of the silhouette and negative space; then move on to the liberating freshness and freedom of direct painting. I think both of these concepts will bring a new or renewed excitement to your painting process. To be very sure that everyone gets as much attention as they need with these challenging concepts, I will be limiting the class size to no more than a maximum of eight students. 3) use my brand new Shopify button on my Facebook page, I have put a link right here. 4) You can also register via McGuffey in person, by mail, or on their website. If you want to get more info about this class, you can read more about it on my website johnahancock.com or connect to the descriptions of the course listed on the McGuffey website. See Peg’s website (www.pegsheridan.com) for information about her classes. Links to all organizations are on her website. If you’re looking for a workshop to take, it can be helpful to hear about other people’s experiences. Using the form here as a guide, send your reviews to webmaster for publication. Did you copy instructor’s work? Did instructor provide still life or flowers to paint? Could you do your own subjects? APPROACH: Sent all attendees 3 paintings of hers before workshop to draw before we got there. LEVEL: Intermediate – drawings fairly complex. TEACHING METHOD: Breezy. Instructive and very specific about colors to use. DEMOS: Showed students a small section at a time to paint and stopped until we had done it. This slowed faster painters down. It was step-by-step. BEST: Pushed class to complete 3 paintings in 3 days. WORST: Large class (24) so not much individual attention. Nothing about composition or subject matter. OVERALL: Many teachers imagine you just want to paint in their style so my friend who has a different style did not get a lot out of the workshop. I did feel encouraged by her as I could paint in her style. Too much time spent on what colors to mix – seemed more like beginners on that front. APPROACH: Demos every day showing different ways to paint. Wet into wet using a bath for paper. LEVEL: Intermediate – beginners would have a hard time with both wet into and wet and also abstract subject matter. TEACHING METHOD: Rather loose – not much specific advice. My table mate was very unhappy with lack of personal attention so I told the teacher and she made an effort to come by 3 times to encourage her. WORST: If I had not taken my own drawing to paint there I would have come home with nothing. OVERALL: Difficult to do wet into wet if you don’t have some experience. No help on composition or subject matter (she makes hers up). Did one critique which was helpful. APPROACH: Basics regarding color, value, shadows – like being in school with charts and examples galore. More “show and tell” of her paintings. No Demos, no critiques. Very instructive on subject matter making us take photos of objects in the sun and paint the object and shadows. WORST: Large class (25) so hardly any individual attention. OVERALL: I did feel encouraged by her and came home with 1 small painting.